At Choice Schools Associates, we manage services for several charter schools throughout Michigan. Focusing on a variety of services, we can help with human resources, new schools, accounting, payroll, marketing, and other full-service management tasks. We also have local staff to assist the schools and turn around any schools with recruitment, financial, or human resource issues. As a family owned, faith-based company, our aim is to create nurturing, community-based learning environments. With almost twenty years of experience, our team can get your school’s management concerns put to rest. Here are some of the schools we’re partnered with in the area. All of these components lend themselves to an amazing educational experience. And now all of this is available to the children and families in and around Battle Creek tuition-free! Please visit our website or contact us by clicking the links above for more information. A better future through better education is the right of every child. Benton Harbor Charter School Academy provides all children in the Benton Harbor community with the opportunities and resources to achieve greatness. The curriculum is demanding, yet provides for individual students to find his or her talents and strengths. BHCSA recognizes that complete success cannot be achieved without the support and partnership of families. Teachers, parents, and staff work as a team to develop the path the student will take. Parents are encouraged to participate in the classroom and are a vital component in all school activities, as well as in creating a safe learning environment for all. Established in 2003, Bradford Academy is a tuition-free public school serving children in grades K-12. Bradford offers a Character Education Program, assessments of student learning styles, and highly qualified teachers. Outside of the classroom, Bradford offers K-4 athletic training and 5-12 athletic teams, robotics, future cities, Junior National and National Honor Society, and much more. Bradford Academy has much to offer students of all backgrounds and talents. At Bradford, all children are provided with the opportunities and resources to achieve academic success. Here, excellence in education and character is the expectation. Creative Montessori Academy provides all children with the opportunities and resources to achieve academic success. Teachers and administration are thoroughly trained in the Montessori Method and are committed to the Montessori education of every child. The curriculum is demanding, yet allows each student the chance to learn through self-directed pace and individual style. CMA recognizes that complete success cannot be achieved without the support and partnership of families. Teachers, parents, and staff work as a team to develop the path the student will take. Parents are encouraged to participate in the classroom and are a vital component in all school activities, as well as in creating a safe learning environment for all. Dove Academy, founded in 1997, is a tuition-free public charter school located in Detroit, Michigan. The Academy is authorized by Oakland University, and currently serves over 400 K-8 children and their families. Its mission is to “educate all students so that they can effectively, efficiently and successfully communicate with others and are able to solve complex mathematical challenges.” To achieve this goal, the school’s curriculum places a strong emphasis on math and language skills. All other subjects – such as science, social studies, art, music and physical education – are supported by a solid foundation of literacy and mathematics. Dove Academy also integrates both the “Character Counts” and “No Excuses University” programs into its curriculum, which focus on innovative, collegiate-themed instruction and teaches character skills that enable students to achieve greatness in all aspects of life. 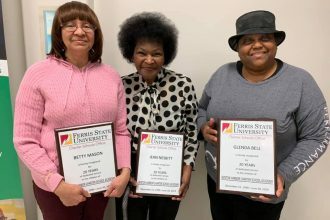 The success of these programs, along with the school’s rigorous, subject-based curriculum, has enabled the Academy to consistently meet the state of Michigan’s Annual Yearly Progress standards of education. Four Corners Montessori Academy is committed to the Montessori educational philosophy. The Montessori curriculum itself is a proven method of instruction designed for all types of learners and has been an established model of education for over 100 years. This academy will bring together students from the “Four Corners” of the Metro Detroit Area to become a true community of learners, which embraces Maria Montessori’s teachings, and her ideals of diversity, peace education, and individualized learning. The program includes multi-age classrooms, low student to teacher ratios, individualized curriculum, hands-on learning experiences utilizing Montessori educational materials, and character building and peace education. 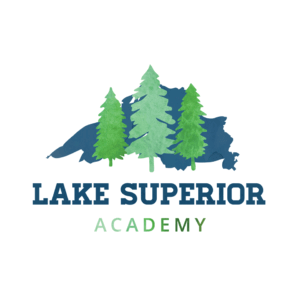 Lake Superior Academy is a tuition-free public school serving children in grades Kindergarten through fifth grade. WE ARE COMMITTED TO THE MONTESSORI EDUCATIONAL PHILOSOPHY. The Montessori curriculum itself is a proven method of instruction designed for all types of learners, and has been an established model of education for over 100 years. Many parents around the world seek out Montessori education for their children because of its ability to create life-long learners who are confident, self-directed and well-respected. Lake Superior Academy brings together a true community of learners which embraces Maria Montessori’s teachings and her ideals of diversity, peace education and individualized learning. At Lake Superior Academy, we serve the Chippewa County community. Macomb Montessori Academy is a tuition-free kindergarten through eighth-grade public school. Here, you can expect a place where your child’s natural desire to learn is celebrated, where moving at their own pace is encouraged, and their unique learning style is embraced. Our multi-age classrooms are lead by State and Montessori Certified Teachers that support students as they explore various subjects through long blocks of uninterrupted work time. We are dedicated to working together in supporting, nurturing and guiding our students to their brightest future. Montessori education allows for individualized learning for children at every stage of their development. Curiosity, creativity, and passion for lifelong learning are all hallmarks of the Montessori Method, and children are encouraged to ask questions, explore their interests, and develop mastery through hands-on experience. We believe that Montessori education is one of the greatest gifts children can receive. Please feel free to contact us or visit our website and see for yourself why Montessori works! The mission of Muskegon Montessori Academy for Environmental Change is to prepare students to be academically and environmentally excellent for sustained success in a global economy. The Academy will sharpen critical thinking skills of its students through learning that remains relevant, active, environmentally focused, and globally mindful. The vision of MMAEC is to enhance student health and learning while conserving natural resources and empowering students to develop sustainable behaviors, enabling them to become stewards of the future. At Muskegon Montessori Academy for Environmental Change (MMAEC) the world is their guidebook. Science and nature guide children at MMAEC to experience learning. What makes them great is our belief that children thrive because we allow their learning to expand to endless possibilities – becoming an individualized learning path for each student. What better way to learn about water filtration than helping revitalize rivers? Learning may begin in the classroom, but our students move from desks to dirt, planting seeds in soil, and tending to our gardens to see what happens afterward. Children who are naturally drawn to science will thrive there through a complete, fully accredited Montessori-based education, which is firmly grounded in the disciplines and rewards of science. After more than five years of research, planning and development by educators and parents, Three Oaks Public School Academy opened in 2003 with 90 students and now houses over 300 students. At Three Oaks Public School, the educational program is designed to provide students with academic knowledge, skills, and attitudes to exceed performance and behavior measures established by the Academy Board, to give staff parameters in which to perform their responsibilities, and to provide parents and the general public with information on the specialized instructional program of the Academy and the achievement of its students. Will Carleton Academy is a K-12 tuition-free public charter school in Hillsdale, Michigan founded in 1998. The school is situated on 36-acres approximately 2 miles southwest of downtown Hillsdale. A 62-acre campus, featuring farmland, a working garden, nature trails, and a variety of ecosystems, all provide fertile ground for successful learning at West Michigan Academy of Environmental Science. 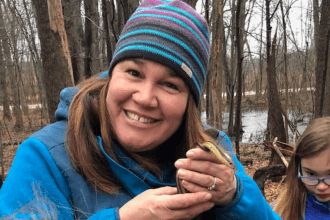 With an emphasis on Environmental Education, the challenging accelerated program respects the differences in each child while demanding students strive to reach their academic and personal goals. 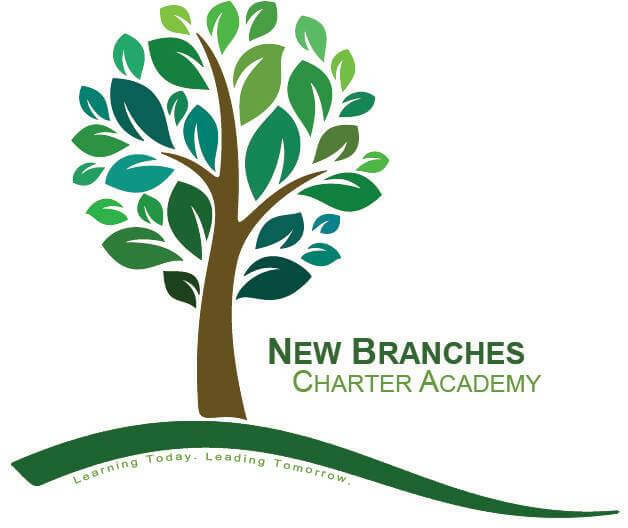 WMAES is one of the first six charter schools in Michigan, and Academy strives to provide an environment that will foster creativity, promote academic achievement and develop sound character and citizenship principles emphasizing responsibility to the environment and society.